We Be Reading: 'Tis the Season! RIP VII! 'Tis the Season! 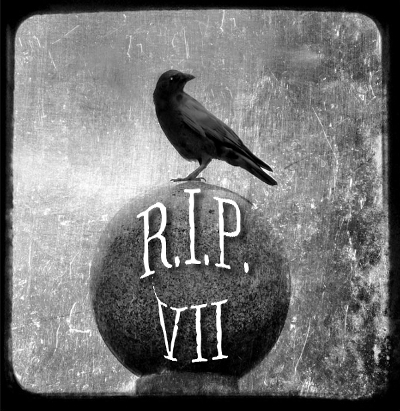 RIP VII! Everyone, gather 'round! It's time for RIP VII! I've decided to read from my own shelves again this year so here's what I've gathered together as options. I pulled everything that fit the bill and also looked FUN because I want to make a big dent in my TBR this season. There's some non-fiction, YA and middle grade novels, adult fiction and even a gothic classic. A couple of these are for the Top 100 Chapter Books Read-Along and there are some review books that I've been saving too. It has been super hard not to dive into these already! Twenty-two books? Yeah, that sounds about right. There isn't even a Peril that fits how much I love this event so I'm going to just do my own thing. Are you joining up this year? What are you planning on reading? I have The Monk on my list as well. Can't wait to pick THAT one up! Thanks for joining in. Please be sure to put a link to this post in the Mr. Linky signup on my site. I had seen the book Charlotte Markham and the House of Darkling on someone else's site a few days ago. It sounds deliciously gothic. May have to track that one down myself. I too want to read The Woman in Black, but am unsure if I'll get to it before seeing the movie. I wanted to see it when it was in theaters but didn't get around to it and just had a friend see it on bluray and strongly recommended I see it. Glad you are doing The Graveyard Book as well. I hope we get a lot of people reading it, it is a wonderful coming of age story. I've joined and loved this one that last several years --plan to gather my list and join this weekend. I've read some interesting books as part of RIP--notably We Have Always Lived in the Castle, and The Turn of the Screw, and Don't Look Now, so I'm in. How to Make a Golem and Terrify People is a title that sounds fun, interesting, and instructive! I am so excited to see The Monk on your list-- I absolutely LOVED it, and I hope you do, too. Graveyard Book is fabulous as well. I read Kraken at some point last year, I believe, and it wasn't for me, but I hope it goes better for you. Looking forward to seeing what you have to say! I liked both of the Eva Ibbotson books. I'm probably only going to read three or four this year around, but I do have two creepy books chosen for my book groups this year that fit perfectly -- The Haunting of Hill House and The Woman in Black. I have some short story collections that fit as well. Iris - I start composing the list in my head in, oh, about March. ;) I'm glad you're joining for The Graveyard Book! Christina - I've said I was going to read The Monk for the last two or three years of this challenge so I'm committed to picking it up this year! Diane - Fantastic! I can't wait to see your list! Amanda - Awesome! Be sure and let us know what you're reading on Twitter or something. Historyofshe - Everyone loves The Monk so I HAVE to read it this time. Graveyard Book is a third time re-read. :) And I've heard mixed reviews of Kraken so I'm going into it with low expectations. Karen - I am hoping that Z wants to read the Ibbotson books with me but we'll probably only have time for one. And we'll have to trade notes on The Woman in Black! I totally forgot about The Woman in Black! I'm off to request that one from the library right now (along with about 10 other books that I want to read for this challenge). LOL! Enjoy these books and all of this scary reading!!!! Waaahhh? It is time for RIP? I still feel like it is summer. I"m not quite ready … even though they are putting out Halloween stuff at Target already!! NUTS! Jenners - It really does sneak up on you now that it's Sept/Oct and not just Oct. But I'm definitely not ready for Halloween to come! Have a great time with this challenge! I joined in twice and am still considering to make this the third time, but reading wise, my next few months are quite full. Maybe! In the mean time, it looks like you've found enough good books to keep entertained! Judith - I'm sure you can join in with at least one book, right? :) Even if you can't, you'll get a lot of good recommendations for the future from everyone that is participating!